Coral, green, patterns, bohemian: all things design related in 2019. 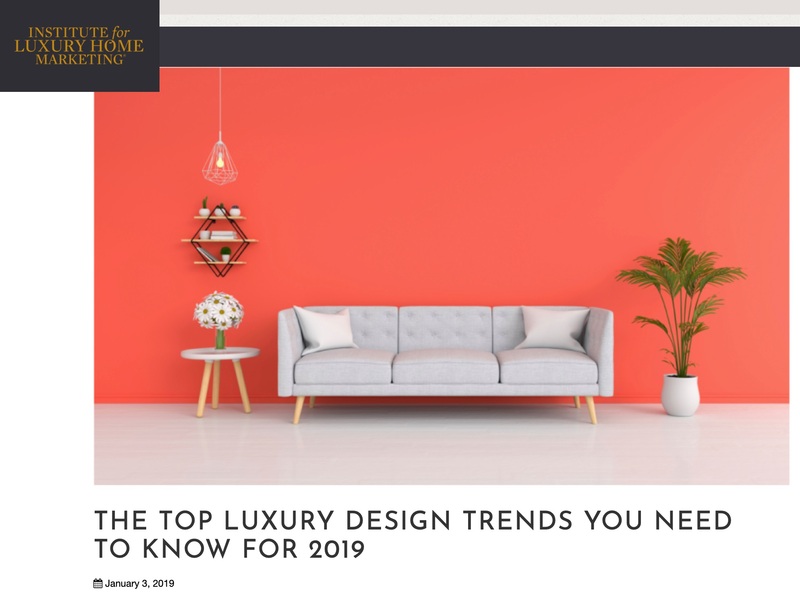 Read up on the trends that The Institute for Luxury Home Marketing writes about. This should be a colorful year in luxury.